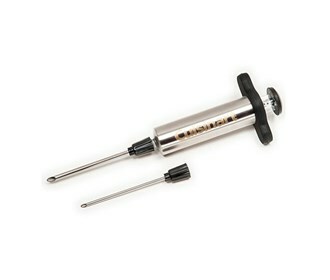 The Cuisinart CMM-232 is a meat flavor injector which allows to inject delicious flavors into any type of meat. The flavor injector will allow to make adjustments from meat to meat and the visible liquid chamber allows to see the exact amount of juice is being injected into every piece of delicious meat. 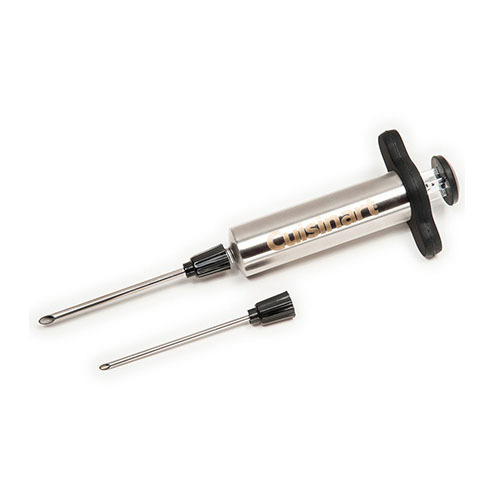 The flavor injector can make the change from plain and ordinary meats to juicy and succulent meats. The Cuisinart Meat Flavor Injector has many exciting features for users of all types. You can extend the lifetime of your Cuisinart Meat Flavor Injector with the purchase of a FactoryOutletStore Factory Protection Plan. See the Cuisinart Meat Flavor Injector gallery images above for more product views. The Cuisinart Meat Flavor Injector is sold as a Brand New Unopened Item.